Have you installed iOS 12 beta on an iPhone or iPad, but now decided you want to revert back to the regular stable iOS 11 builds? You’re certainly not alone, and because anyone can install iOS 12 beta right now through relatively easy means, it’s not unusual to discover device owners who are now running beta system software which isn’t working out well for them – this is to be expected because it is a beta release after all. 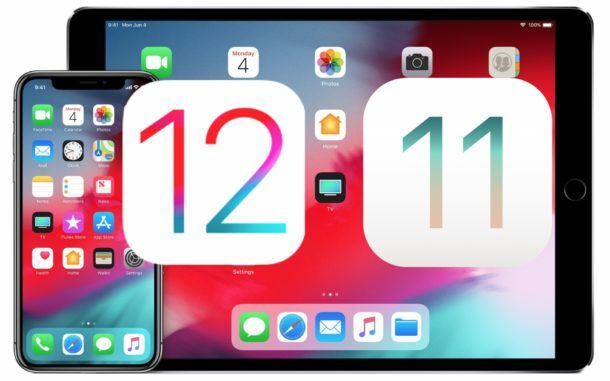 The good news is that you can uninstall iOS 12 beta and return to the latest iOS 11.4 release, as this tutorial will demonstrate two different ways to downgrade from iOS 12 beta back to iOS 11.x. 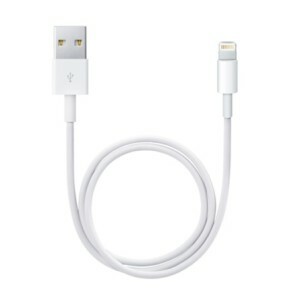 Before getting started, you will need a computer with the most recent version of iTunes, an active internet connection, a USB cable, and an IPSW file for your particular device. It’s important to point out that iOS 12 backups are not able to be restored to a device running iOS 11, so if the most recently available backup is from iOS 12 then it would not be able to be restored to a downgraded device running iOS 11. While you may be able to use the first approach to not lose data in the downgrade process, it’s possible it will fail and you will experience complete and total data loss on the device, or be stuck on iOS 12 beta. Don’t take backups lightly. Be sure to backup your iOS device before beginning. You can backup to iCloud or iTunes, or both. If you are backing up with iTunes be sure to archive the iOS 11.x backup first so that the new backup doesn’t overwrite it. Failure to have adequate backups can result in permanent data loss, you have been warned. The complete downgrade process from iOS 12 beta to iOS 11.4 may take a while, and the iPad or iPhone screen will turn black and reboot several times, occasionally showing an Apple logo or a progress bar. Just let the process complete itself, it can take a while. If the above approach does not work for whatever reason, you can also use Recovery Mode to revert to a prior version of iOS and downgrade from iOS 12 beta. Be sure you have a backup made before attempting to use Recovery Mode, and remember that iOS 12 backups can not be restored to iOS 11 devices. Another option is to use Recovery Mode or DFU restore to complete the downgrade process. The downside to this approach is that it erases the device, forcing you to restore from a compatible backup when the downgrade completes. If you don’t have a backup available, you will lose all data on the device. You must update iTunes to the latest version available before beginning. When the restore completes, the iPhone or iPad will boot back up into the setup process, much like it was a brand new device. During the setup process you can restore the downgraded iPhone or iPad from a backup from iCloud or iTunes. The latter Recovery Mode restore method is actually what Apple recommends to uninstall an iOS beta on their own support article here, but it is not the only approach that works. If the above approaches fail for some reason, whether by using the standard IPSW or by using recovery mode, then you can also try to restore with iTunes when the iPhone or iPad is in lower-level DFU mode, though this should not be considered necessary for simply downgrading in the majority of cases. Again, using DFU mode should not be necessary for the vast majority of instances of downgrading iOS 12 beta. Typically DFU mode is only necessary when an iPhone or iPad is in a “bricked” state of being unusable.